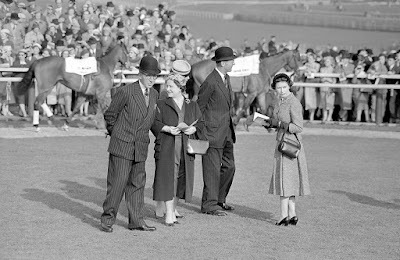 Horse racing stalwarts Queen Mother and the Queen in the paddock at The Cheltenham Festival way back in 1957! In the previous post we were waxing lyrical about the bevy of female talent at the Cheltenham Festival, with praise being heaped on the 2018 performances (a record breaking four wins for female jockeys) and hopes for 2019. Could Rachael Blackmore, Lizzie Kelly and co show that they can more than mix it with the men? Well, for those living under a rock I'm happy to announce that female jockeys once again shone at the Cheltenham Festival this year. On day one Rachael Blackmore was off to a winning start in the 4.50pm Close Brothers Novices' Handicap Chase aboard A Plus Tard, trained by Henry De Bromhead. Day two saw Bryony Frost bathe in glory, as the well backed Frodon ,stormed to victory in the 14:50 Ryanair Chase. In the process Frost, 23, made history in front of the 70,000 strong crowd by becoming the first female jockey to win a Grade 1 race at the Cheltenham Festival. So excited by her win was Frost, that she initially didn't even realise or recall that it was a Grade 1 race. Lizzie Kelly soon after made it a winning trio in The Plate on the Nick Williams trained Siruh Du Lac at 9/2. Could it get any better for our girls? The answer is a resounding yes, as on the final day of Cheltenham Rachael Blackmore once again showed that she is not to be taken lightly. Blackmore struck the perfect balance on a keen Minella Indo, hitting the front early and holding on to claim victory on the 50-1 Shot in the Grade 1 Albert Bartlett Novice Hurdle (yes another Grade 1 win, joining Bryony Frost!). So a record equalling four wins in total - matching last years record breaking total. What a way to round off a fabulous 2019 Cheltenham Festival for female jockeys! In the past decade at the Cheltenham Festival, while the Irish Independent Leading Trainer Award has been presented to just four men, the Holland Cooper Leading Jockey Award has been presented to just three, Ruby Walsh, Barry Geraghty and, most recently, Davy Russell. Thanks in large part to long, fruitful associations with Paul Nicholls and Willie Mullins – multiple champion trainers on their respective sides of the Irish Sea – Ruby Walsh is, far and away, the most successful jockey in the history of the Cheltenham Festival. Coincidentally, Walsh has ridden 58 winners, exactly the same number as Geraghty (36) and Russell (22) put together, which may account for the fact that he has won the Holland Cooper Leading Jockey Award eight times in the last ten years – and eleven times in all – whereas Geraghty and Russell have won it just once apiece. 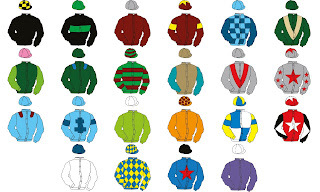 Nevertheless, just over two decades ago, on the eve of the Cheltenham Festival in 1998, none of these leading jockeys had ridden a single winner at the so-called ‘Olympics of Horse Racing’, so it’s interesting to know how, and when, they began their quest for stardom. Unsurprisingly, Ruby Walsh was the first to open his account at the Festival, when still an 18-year-old amateur, in 1998. That said, ‘Mr. R. Walsh’, as he was known to racegoers at the time, was reigning Irish amateur champion and rewarded the faith shown in him by Willie Mullins by guiding the five-year-old Alexander Banquet to a 2½-length victory of the favourite, Joe Mac, in the Weatherbys Champion Bumper. Barry Geraghty broke his duck at the Cheltenham Festival, at the age of 23, in 2002, partnering Moscow Flyer – who would later be rated alongside Burrough Hill Lad and Long Run in the top ten steeplechasers of the Timeform era – to a ready, 4-length win over the favourite, Seebald, in the Arkle Challenge Trophy. Now the fourth most successful jockey in the history of British National Hunt racing, and retained by powerful owner J.P. McManus, he still has time to increase his winning tally at the Festival. 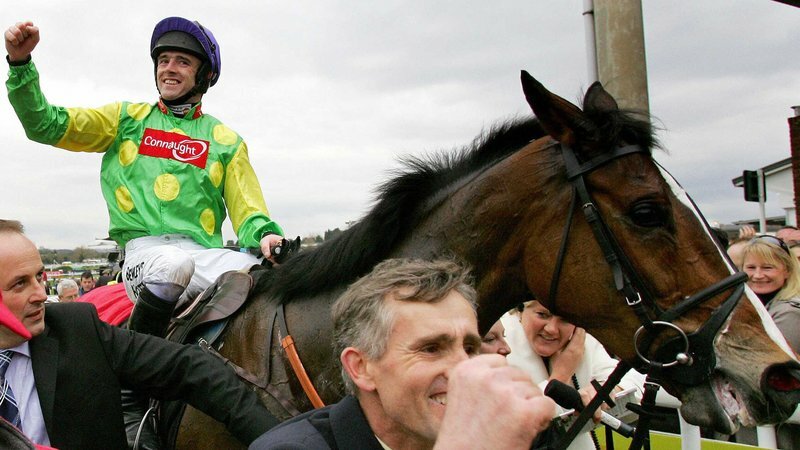 Davy Russell, at the age of 39, is roughly the same age as Walsh and Geraghty, but was a relative latecomer to Festival success, partnering his first winner, Native Jack, in the Cross Country Chase in 2006. Even so, he has enjoyed a steady stream of winners – at least one at every Cheltenham Festival – ever since, including winning the Cheltenham Gold Cup on Lord Windermere in 2014. In fact, Russell enjoyed his best Cheltenham Festival ever, numerically, with four winners, including Balko Des Flos in the Ryanair Chase to win the Holland Cooper Leading Jockey Award for the first time. With International Women's Day just gone, let's not forget the contributions of female jockeys to the Cheltenham Festival. Nina Carberry rode her first winner at the Cheltenham Festival, Dabiroun, in the Fred Winter Juvenile Novices’ Handicap Hurdle in 2005 and subsequently rode six more winners to become the most successful female jockey in the history of the Festival. Historically female jockey participation at Cheltenham has been a rarity especially when compared to the Grand National. That's changing though, with a record breaking four wins for female jockeys at the 2018 Cheltenham Festival including Lizzie Kelly on Coo Star Sivola in the Ultima Handicap Chase. Kelly will be back on the same horse in the 2019 Festival, in addition to two other rides. Other female jockeys such as Rachael Blackmore and Bryony Frost will feature too to the potential for another bumper year for the ladies is high! Whether you’re a first-timer or seasoned-regular, day two of the Cheltenham Festival is always one of the most popular – it’s Ladies Day. Never mind high-style, it’s all about high-class racing with seven races on show, including the prestigious Queen Mother Champion Chase. But expect to see a lot of tweed – and here we will take you through what to expect from day two. The Wednesday at the Cheltenham Festival kicks off with back-to-back grade 1 races for novices, beginning with the Novices’ Hurdle. Run on the old course, over two miles and five furlongs, the Irish-bred aptly-named Champ is the front runner with the bookies and has a decent record over hurdles. Next up is the Novices’ Chase, which often sees many of the big-names battling for superiority, or previous winners at other races of the festival trying to add to their accolades. Delta Work is the favourite this year and is unbeaten this season in the chase. However, the winner generally goes on to be a big name in the world of racing. 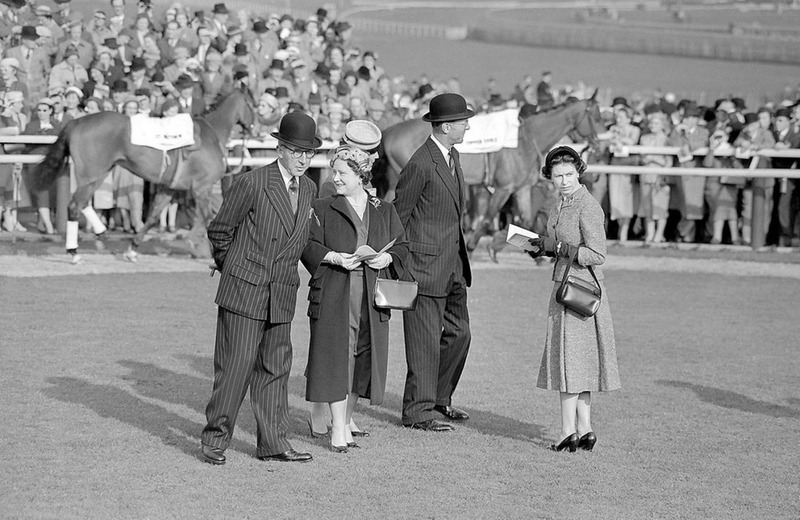 The Coral Cup is the first of two handicap races on Ladies Day and is raced on the old course over two miles and five furlongs. Interestingly, no horse has ever won this race on multiple occasions. But Willie Mullins will be hoping to make it back-to-back wins as his hopes rest on Uradel, after winning with Bleu Berry in 2018. The eagerly-awaited Queen Mother Champion Chase is set to be hotly contested again this year. The grade 1 steeple chase is run over nearly two miles and is the stand-out race on day two. 2018 saw Altior triumph by seven lengths, over Min – and the two horses are the favourites with the bookies again this year. Last year’s third-place horse, Gods Own can only muster odds of 33/1. But last year’s Arkle winner, Footpad could pose an outside threat – visit Betfair Champion Chase 2019 betting to make your selection. The Cross Country Chase is one of the longest races at the Cheltenham Festival, run over three miles and six furlongs and consisting of 32 obstacles to be overcome. It is indeed a unique race and one that a lot of people enjoy watching, due to the nature of the course. Tiger Roll was victorious last year and is the favourite to win again this time around, a feat last achieved by Garde Champetre in 2008-09. 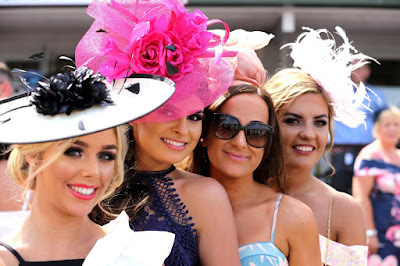 The penultimate race on Ladies Day is the second handicap race, the Juvenile Handicap Hurdle, which as the name suggests, is run by juvenile horses, aged four years. Band of Outlaws leads the way amongst the bookies at the minute, and he has a reasonable record in hurdles races. The race is fairly new, being introduced in 2005 and four years later, became a grade 3 race. The event is named in memory of Fred Winter, who was victorious 45 times at Cheltenham (17 as a jockey and 28 as a trainer). If you’re wanting to see a rising star of the jump racing scene, then the Champion Bumper is the race for you. It’s perfect for young horses who have yet to make a racecourse and great for trainers to showcase their talent. Willie Mullins is the leading trainer, with nine victories in the Bumper and is hoping to triumph again with Blue Sari – however, understandably, it’s hard to pick out a winner. Day two sees a grand total of £1,020,000 won, which is marginally less than Champion Day. However, almost half of that is won from the Queen Mother Champion Chase alone (£400,000). You can find the full figures, here. The 2007 Cheltenham Gold Cup, sponsored by Totesport, featured 18 runners but, frankly, will always be remembered for the presence of just one horse, Kauto Star. Originally trained by Serge Foucher in France, Kauto Star joined Paul Nicholls in November, 2004, and recorded his first Grade 1 win in the Tingle Creek Chase, over 1 mile 7½ furlongs, at Sandown just over a year later. He rather blotted his copybook on his first visit to the Cheltenham Festival in 2006, falling at the third fence when 2/1 favourite for the Queen Mother Champion Chase. Nevertheless, he was unbeaten in 2006/07, including wins in the Betfair Chase, over 2 miles 7 furlongs, at Haydock, the Tingle Creek Chase, again, and the King George VI Chase, over 3 miles, at Kempton. In fact, 2007 Cheltenham Gold Cup was his first attempt beyond 3 miles, but he still started 5/4 favourite to make it 6-6 for the season. Ridden by Ruby Walsh, as he was for most of his career in Britain, Kauto Star was held up at the rear of the field before improving his position just after halfway. Approaching the fourth last fence, at the top of the hill, he was on the heels of the leaders and, when asked for an effort, quickened to lead at the second last fence. Despite almost breasting the final fence, he stayed on strongly up the hill to win by 2½ lengths and the same from 9/2 second favourite Exotic Dancer and 40/1 outsider Turpins Green. Kauto Star earned just over £242,000 for winning the Cheltenham Gold Cup but, having already won the first two legs of the so-called “Betfair Million” – the Betfair Chase and the King George VI Chase – was also eligible for a bonus of £1 million. Look out for the best free spins offers online to win on casinos without any risk involved. 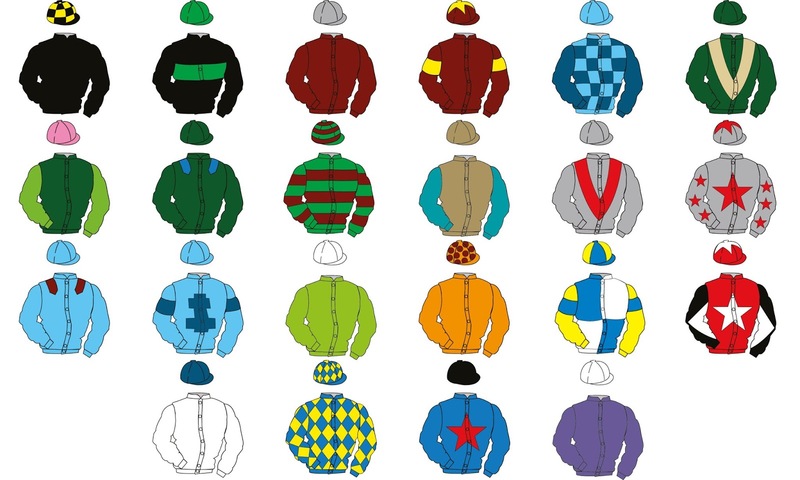 At Grand National Blog we cast an eye upon the horses and jockeys that make this UK racing festival the spectacle that it is.